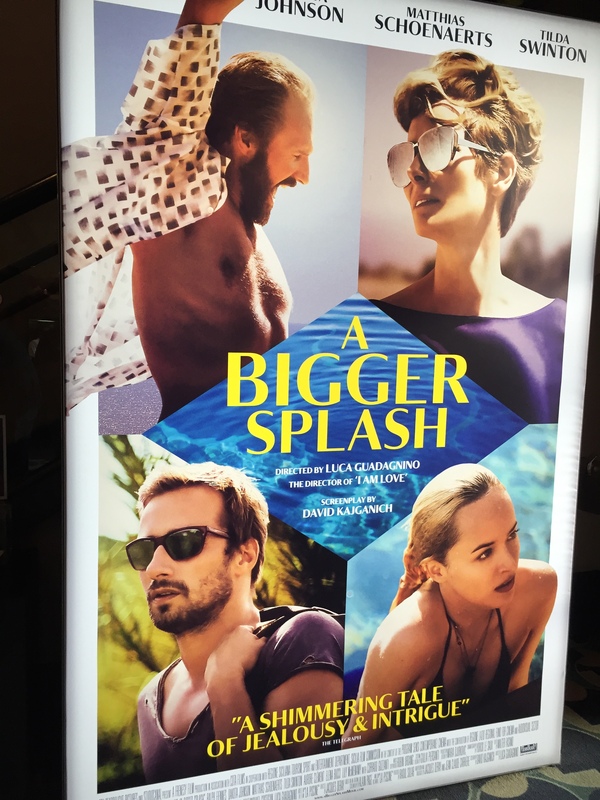 There will be two “Bigger Splash” movies this year. 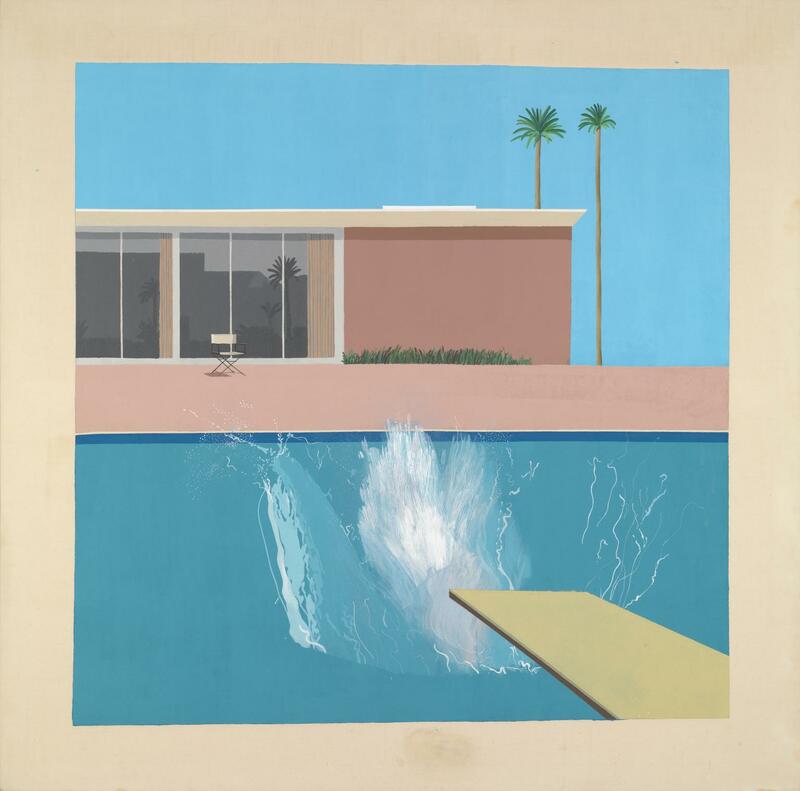 One of them is a documentary on David Hockney, the great Los Angeles-based artist. The movie A Bigger Splash takes on a theme I’ve seen in a few indies lately: that of vacations going south. Force Majeure, The Two Faces of January, and The Loneliest Planet are examples of this concept in recent years. Terror flicks like I Spit on Your Grave or Hostel also technically fall under this category, though we’re talking there about a very different type of film, obviously. It’s a great storytelling tool because it allows ordinary people to be placed out of their element, out of their comfort zone. Vacations allow ordinary people to face extraordinary circumstances. Force Majeure was the best at this, in the psychological drama side of the bucket. One of the problems with A Bigger Splash is that it is not completely confident of what it is trying to be. As a psycho-sexual drama, it had me pretty well gripped for about the first three-quarters, at which point it took the inevitable turn as given away in the trailer — and suddenly became a completely different and much more mundane picture. Because of this, I was going to render a marginal thumbs-up, but the film did stick around in my head just long enough for a 7/10. 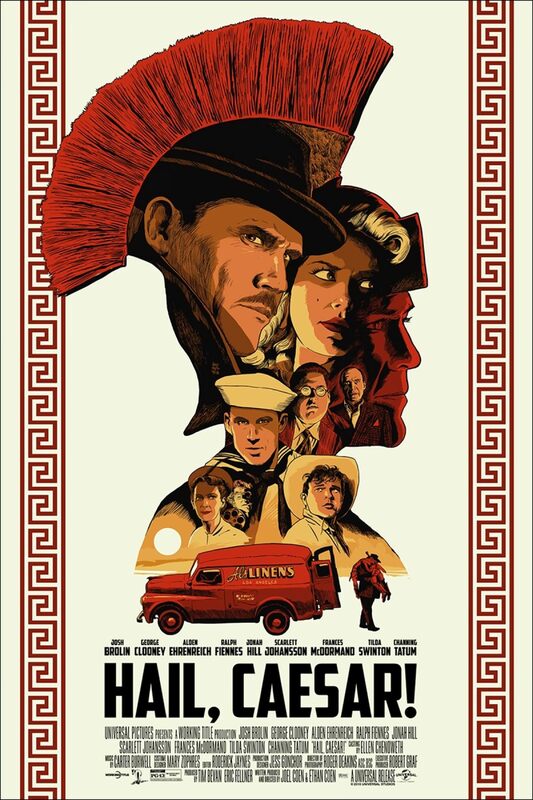 Not to sound lame-brained, but Hail, Caesar! is the most literal example of a FEEL GOOD MOVIE in recent memory. I was loathe to go see it, based on the ads & trailers. I made avoiding it something of a quest, Coens be damned! Plus I had this running theory of Clooney + Coens = STAY AWAY! But it seemed to have legs. After a month or so something snapped; I broke down and headed with great gusto to the cinema. 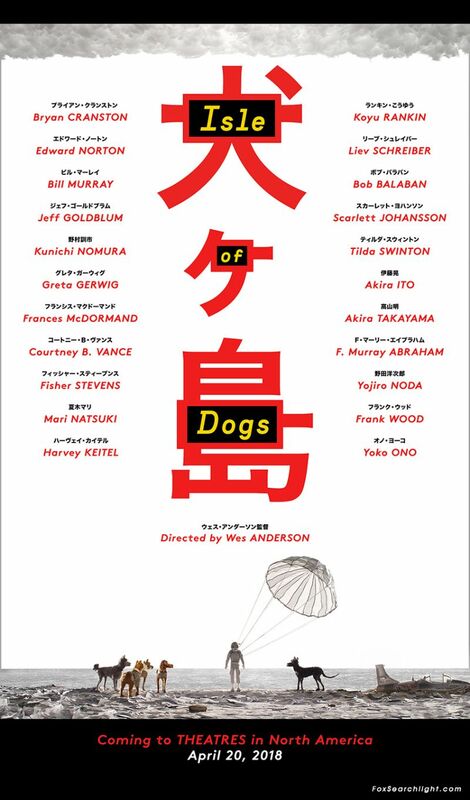 And wow do the Coens know how to put together a movie. Hail, Caesar! is a thoroughly entertaining, sumptuously gorgeous picture made by absolutely consummate filmmakers at the top of their game. My only fault was a lack of any real dramatic peril: this is not Fargo or No Country for Old Men. Otherwise we’d be talking 9-territory; as it is, on the high end of 8/10. 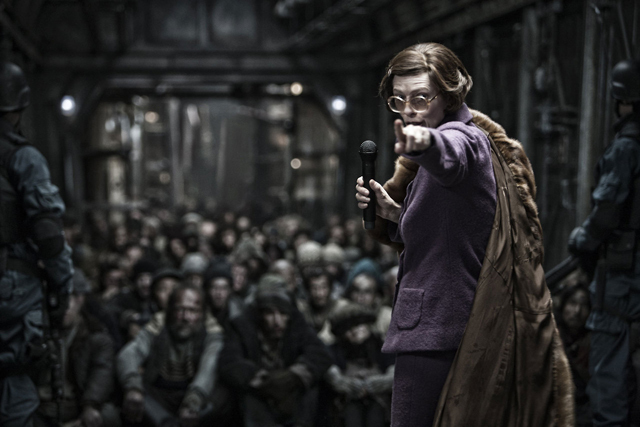 Sit close to the big screen for this one — it’s a visual treat, I found much more so than even The Grand Budapest Hotel. SOMETIMES IT SEEMS that a concerted effort is being made to dissuade consumers from paying for conventional TV services, e.g. cable and satellite. The first shot across the bow was the NBC purchase of Bravo, and NBC’s subsequent dismantling of Bravo. At one time Bravo was an excellent channel, providing film and performing arts programming that bested PBS. Inside the Actors Studio was born of this period, and I remember a fantastic profile of Björk (tag-lined “People We Like”) which was done while she was recording Homogenic. Apparently Inside the Actors Studio remains on Bravo, though I hardly see the point. First of all it is broadcast so rarely that I haven’t seen it in years, and secondly it’s so discordant with the dreck that occupies the entire Bravo lineup that it can do nothing but suffocate. That various “real housewives” are now considered celebrities is a sad commentary about our society. The next shot hit square-on when IFC and then Sundance renounced commercial-free indie movie programming and replaced it with decidedly inferior programming filled voluminously with advertisements which completely ruin any worthwhile movie that finds passage. That was a sad devolution, as quite a number of great little indies I discovered on those channels. Nothing has arrived that can fully take the place of IFC, Sundance, and pre-NBC Bravo, but as with any vacuum new options have popped up. The biggest is streaming media. Browsing for films using iTunes movies via Apple TV is fun. My watch list has grown to hundreds of films, I reckon — I just wish I could commit to watching one every now and then. And there are new movie channels, though as more of us become cord-cutters the longevity of said channels may be in doubt. One of the best is EPIX, which I posted on a while back regarding their showing of Nebraska and the Altman biopic. Well I was a little surprised when I ran across a show late last night called Hollywood Sessions, a very dignified interview program featuring Emma Stone, Tilda Swinton, Laura Der n and Patricia Arquette — a round-up of best supporting actress nominees for 2014. All were seated about a coffee table and asked questions in turn by two journalists. Well the spirit of early Bravo was swept right back to me! I was only able to watch a few minutes before heady-to-beddy, but I was very pleasantly surprised. Hollywood Sessions include four other programs, with 2014 candidates for best actor, actress, supporting actor and director. EPIX has made each program available online in a friendly, commercial-free format, or check your listings. And so what follows is a rather straightforward film about a revolt of the underclass, which can be executed in only one way: a direct linear push to the front of the train. 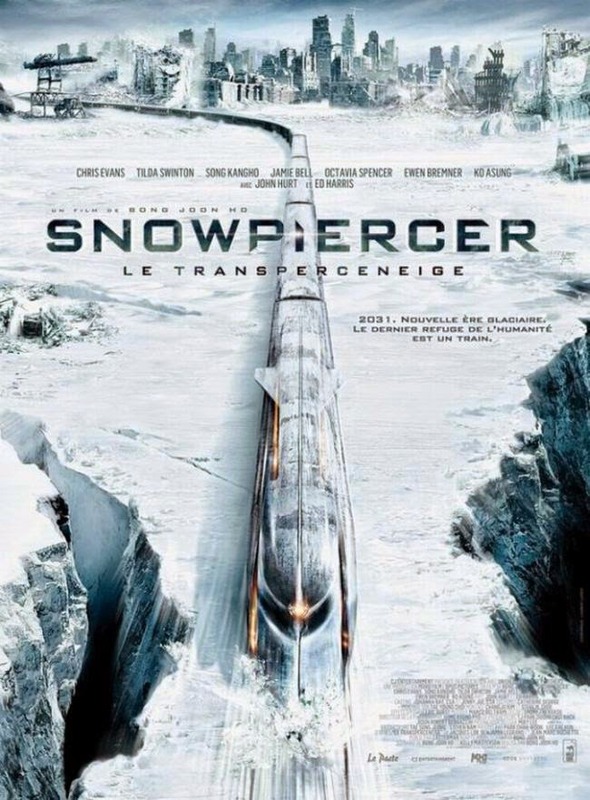 As the train pierces the snow, the rebels pierce through one bulkhead after another, moving further forward in the train while experiencing one stratum after another of the encapsulated core-sample which represents all of humankind.